Snapchat joined Bluetooth SIG. It is a strong sign that Snapchat wish to explore its business from apps to hardware. This action plus with the recruitment and acquisition it made in consumer electronics field gave the public an expression that it will launch AR glasses. Apple, Google, Microsoft and Faceboook expressed the interest in AR technology. Snapchat applied the similar technology for filter by customizing the snapshots with funny animation. Snapchat filter has 150 million daily active users so far. It is becoming a online streaming and professional publishing platform. Users can also use this platform to communicate with friends. Concerning the news of Snapchat launched wearable device could date back to March. CNET claimed then Nokia and Logitech joined a screte research lab. The capitalization value of Snapchat is said to be over $15 billion. Its major investors include Fidelity. Snapchat has never commented on the plan of hardware development. However, it is an obvious signal that it would expand business in hardware field as it joined Bluetooth SIG. Being a membership of Bluetooth SIG is necessary to those manufacturers who wish to use wireless devices on hardware. Snapchat has been listed as a membership on Bluetooth SIG official website. It showed that Snapchat has registered a unique identifier. The confirmed source claimed that Snapcaht had been seeking for OEM to make original helmets in the summer. It implied that Snpachat is in the early stage to launch such product. The helmets won’t be released this year. 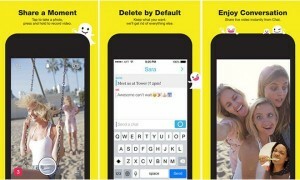 The participants of this plan claimed that Snapchat will accelerate the hardware project. It recruited some new employees from Nest and GoPro. Snapchat spokesman did not make any responds for joining Bluetooth SIG and its development plans. Previous PostThe development of Facebook AI technologyNext PostIs good news to wearable manufacturers that Apple Watch Series 2 featured with fitness function?